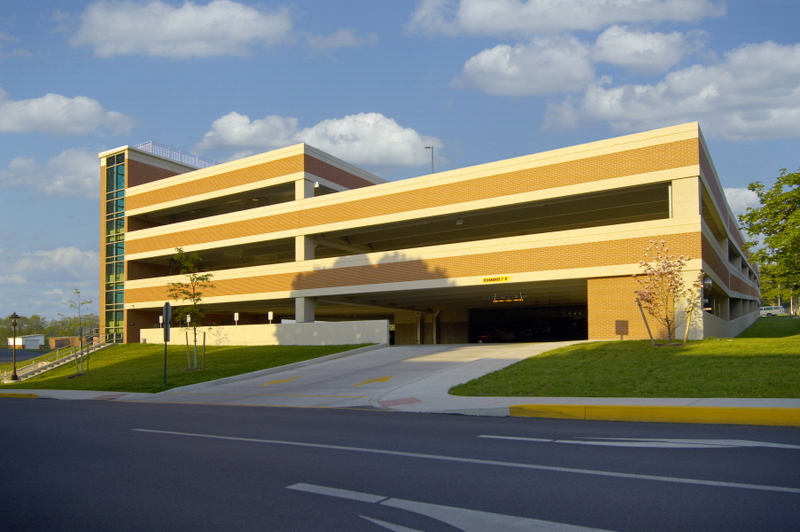 New 350 space precast concrete Parking Garage located at the corner of North Prince Street and West Cottage Avenue in Millersville, PA. The garage consists of a pre-cast concrete superstructure, cast-in-place concrete foundation walls as required, and cast-in-place concrete conventional spread footings. Design features a light sand blast and heavy sand blast precast concrete spandrel panels and precast concrete column covers with thin-set brick veneer insets and a glass-enclosed stair tower. Situated adjacent to the University’s baseball stadium, the garage plan takes advantage of the sloping site to provide an upper and lower entrance and exit. Induction Lighting systems, power, and HVAC for mechanical/electrical rooms was provided. Greenfield Architects integrated Millersville University’s security systems into the project and provided additional glass enclosures for pedestrian access and comfort. Project also includes reconfiguration of adjacent streets and pedestrian access.